Should I Remove It? 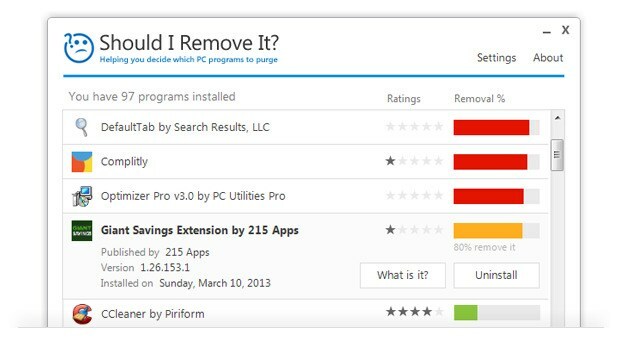 is a freeware utility that uses crowdsourced data to recommend removal of programs from Windows systems. Developed by Reason Software Company Inc.
Apps Like Should I Remove It? What can Should I Remove It? do? Frequently Asked Questions About Should I Remove It? What is the license type of Should I Remove It?? Should I Remove It? is an Free Product. Who developed Should I Remove It?? 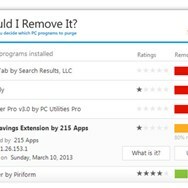 Reason Software Company Inc. has developed Should I Remove It? What are all platforms are supported by Should I Remove It?? Softwares Similar to Should I Remove It?